Company was downgraded by risk agency Fitch since now there is the expectation that reparation costs and monetary fines will be substantial. RIO DE JANEIRO, BRAZIL – Mining giant of Brazil, Vale, registered on Monday the largest plunge in share value in a single day in its history, plummeting 24.52 percent during trading hours and losing R$71 billion (approximately US$19 billion) in market value. 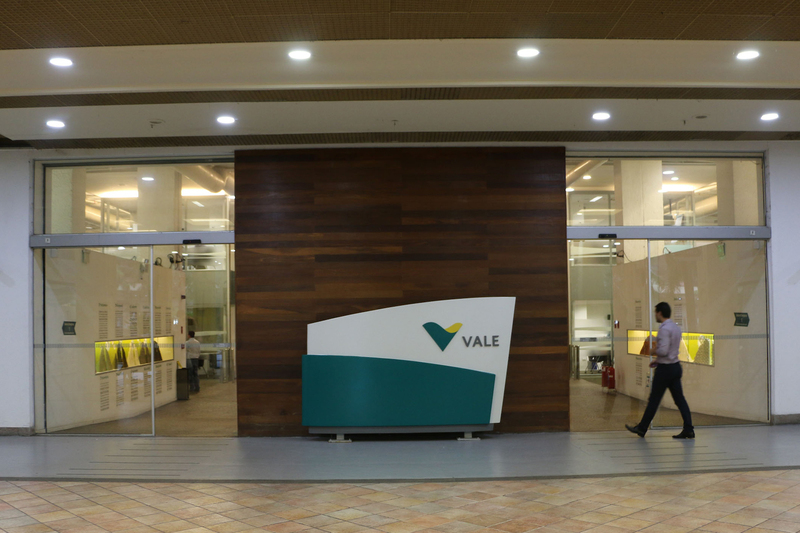 Vale’s headquarters in Rio de Janeiro, photo courtesy of Agencia Vale. The company was also downgraded by risk agencies after one of its dams broke on Friday afternoon. “These downgrades reflect Fitch’s expectation that the company will incur heavy reparation costs as a result of this accident that resulted in sixteen confirmed fatalities and more than 300 missing people, caused widespread environmental damage and destroyed property,” said the statement issued by Fitch on Monday after cuting Vale’s ratings from BBB+ to BBB-, one notch above junk status. According to the risk agency there is the expectation that monetary fines will be substantial ‘as this mining accident occurred approximately three years after another dam collapsed at the company’s mining joint venture, Samarco’. According to news daily Valor Economico, several banks and foreign financial institutions have already cut their recommendations for the company’s assets, including Jefferies, HSBC, BMO and Macquarie. The collapse of the shares from Vale and its holding company, Bradespar, led the Bovespa Index to close down by 2.29 percent, at 95,604 points. The drop in the index was driven by the strong devaluation of Vale and its holding company, Bradespar, which fell 24.52 percent and 24.49 percent, respectively. Other companies linked to the mining sector also registered losses at the stock market, such as CSN (-5.69 percent), Petrobras ON (-3.53 percent) and Gerdau (-3.32 percent). On Monday Vale announced it will donate R$100,000 to the families of each missing person or confirmed fatality, regardless of whether or not they are Vale employees. “This has nothing to do with indemnification, which needs to be sorted out together with the authorities,” said Finance and Investor Relations executive director Luciano Siani Pires.